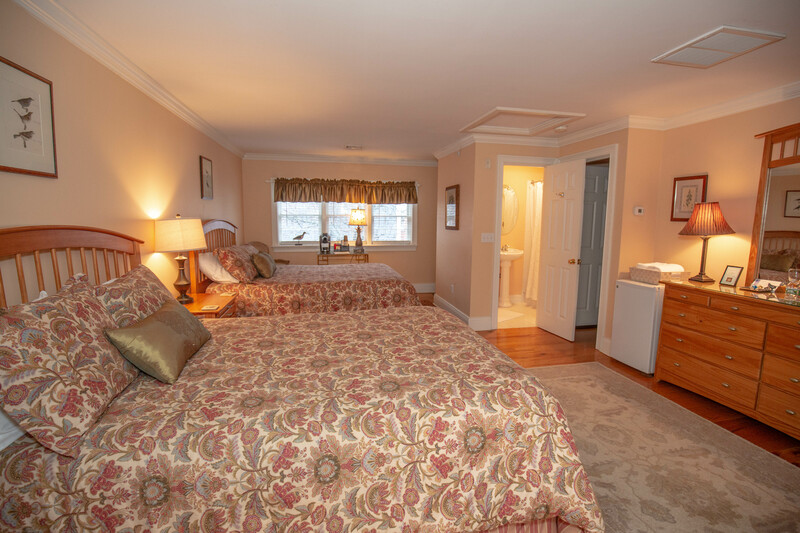 Room Six is separate from the main building and suites. 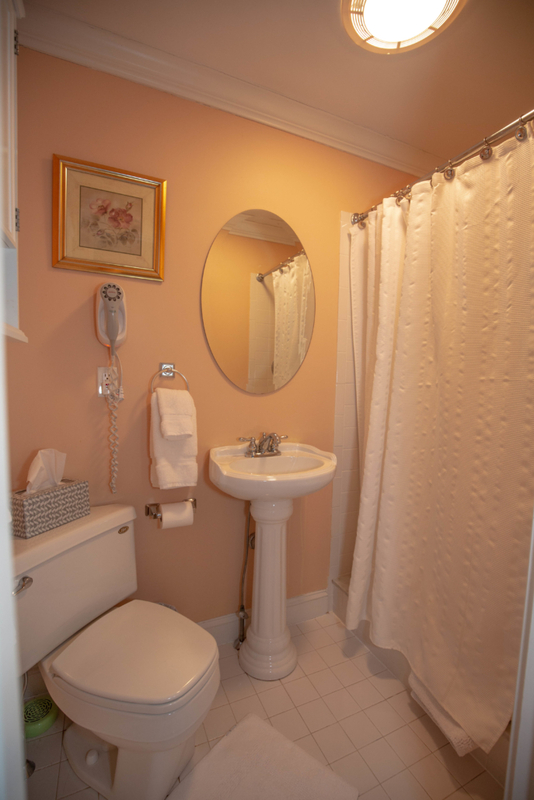 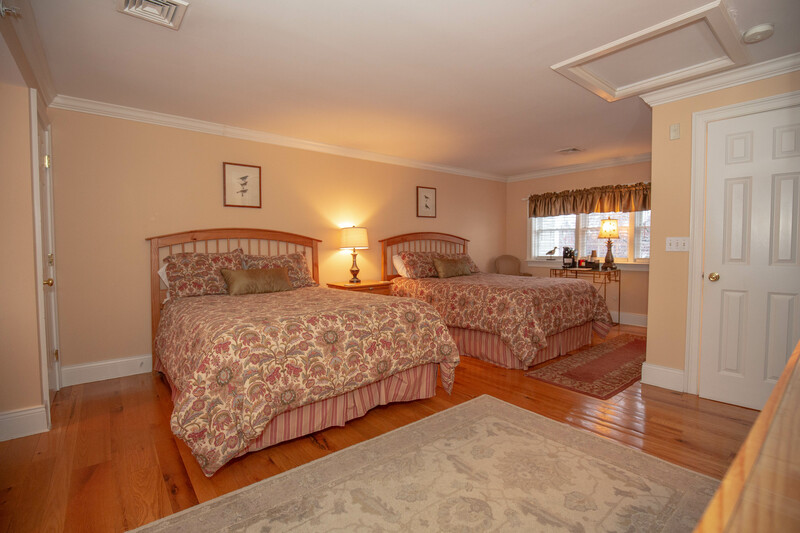 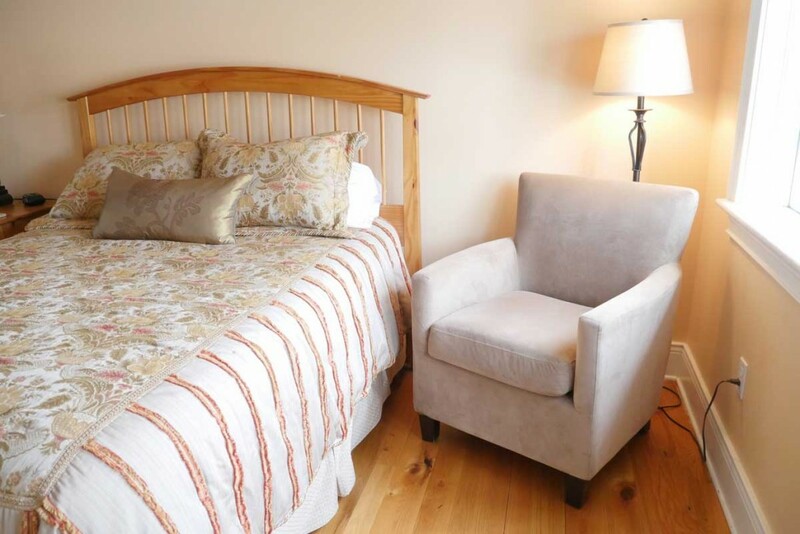 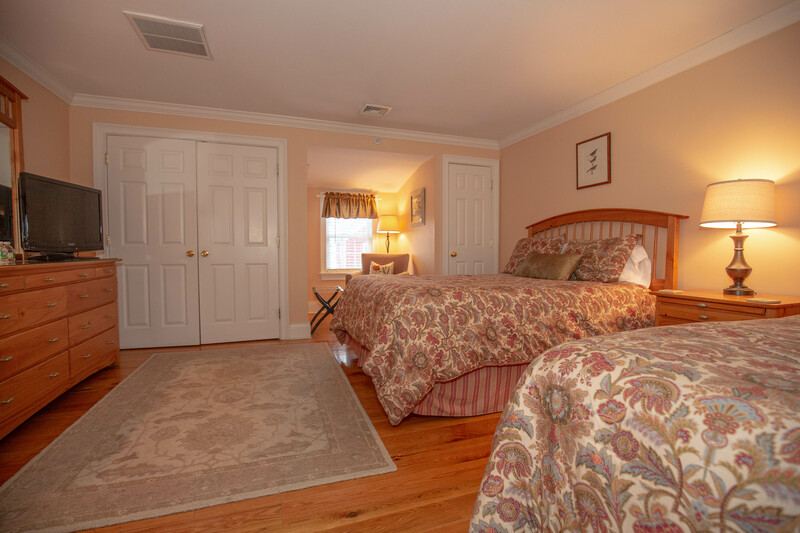 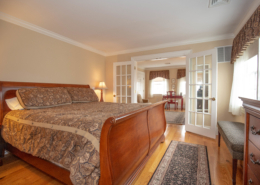 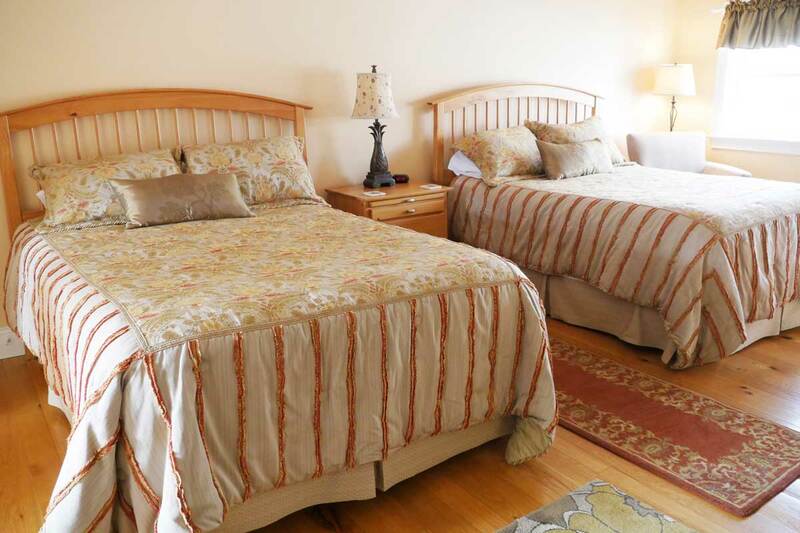 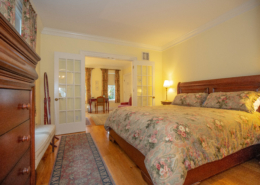 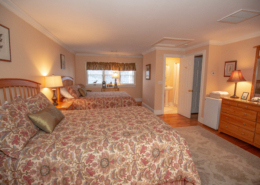 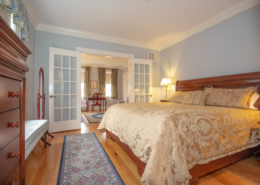 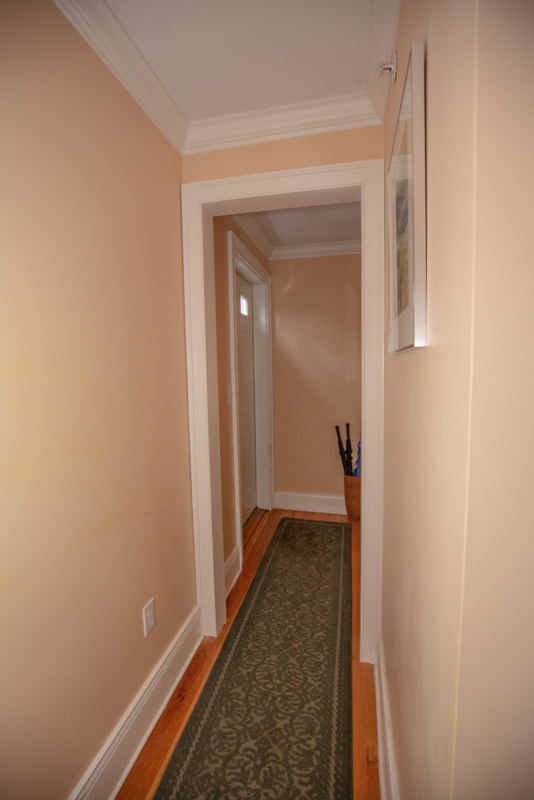 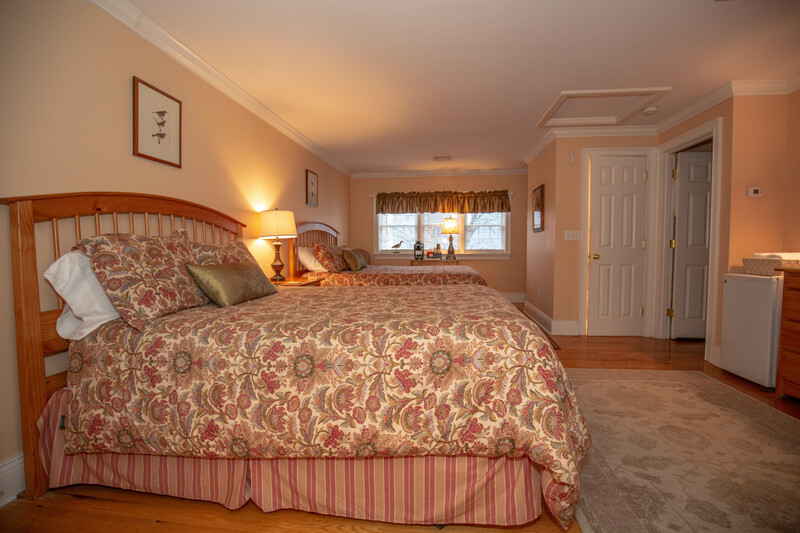 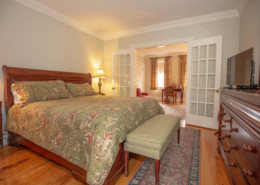 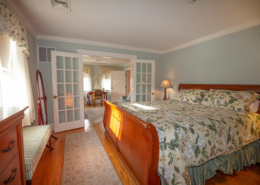 It has a private entrance just outside the main inn (Staircase a bit steep) and features two Queen-sized beds, private bath, an office window alcove, comfortable seating, and exceptional privacy. 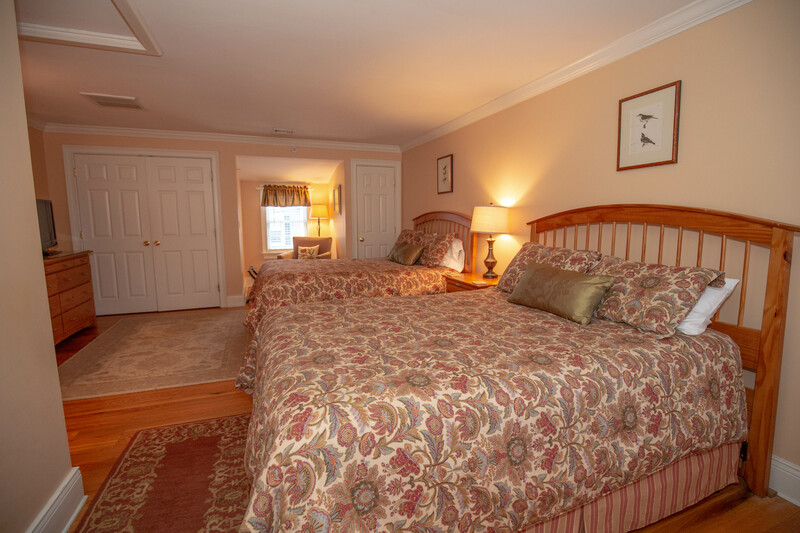 When the weather is warm explore the open patio surrounded with flowering shrubs and perennials.